Nvidia has announced that it has launched the world's first ray tracing engine – with Nvidia OptiX promising to help developers bring new levels of realism to applications. OptiX joins Nvidia's other acceleration engines, SceniX, CompleX and PhysX – with all, it seems, containing the X-factor. The technology, which leverages the GPU, will allow for intricate tasks like examining the way reflection and refraction of light on glass should appear. In Nvidia's words: "By tapping into the massively parallel computing power of Nvidia Quadro processors, the OptiX engine greatly accelerates the ray tracing used across a spectrum of disciplines, including: photorealistic rendering, automotive styling, acoustical design, optics simulation, volume calculations and radiation research." 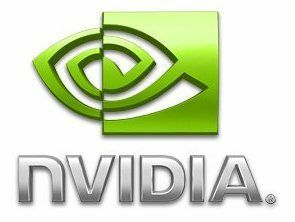 "Thousands of applications are being created today that harness the phenomenal power of GPUs, a clear sign that GPU computing has reached a tipping point, adds Nvidia's Jeff Brown. Manager. "The world of computing is shifting from host-bound processing on CPUs to balanced co-processing on GPUs and CPUs. "NVIDIA application acceleration engines arm developers with the tools they need to further revolutionize both real-time graphics and advanced data analysis."